← Circle Rays on Green. Still available! 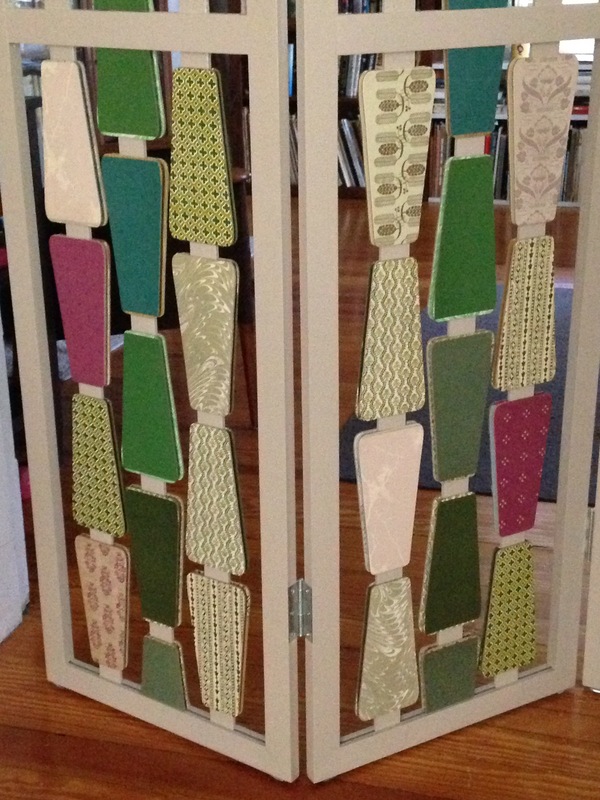 Room divider screens are among my most popular pieces. This one’s in a pretty palette of mauve/taupe/green. It’s about 4 feet wide by 6 feet high, all hand-made with frame constructed of quality, painted hardwood.Where else can you find nostalgic, retro materials combined with a sleek design to complement your home or office? 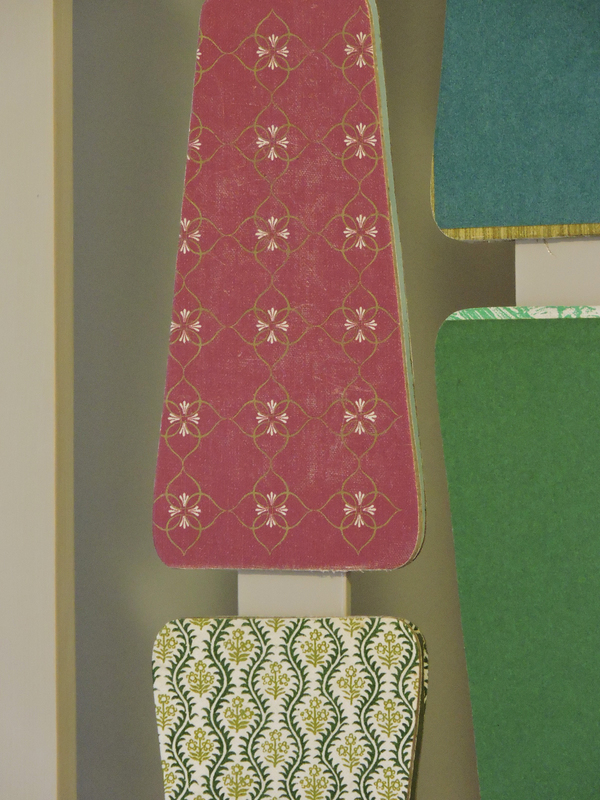 Just right for visually defining a conversation area, living room or library! 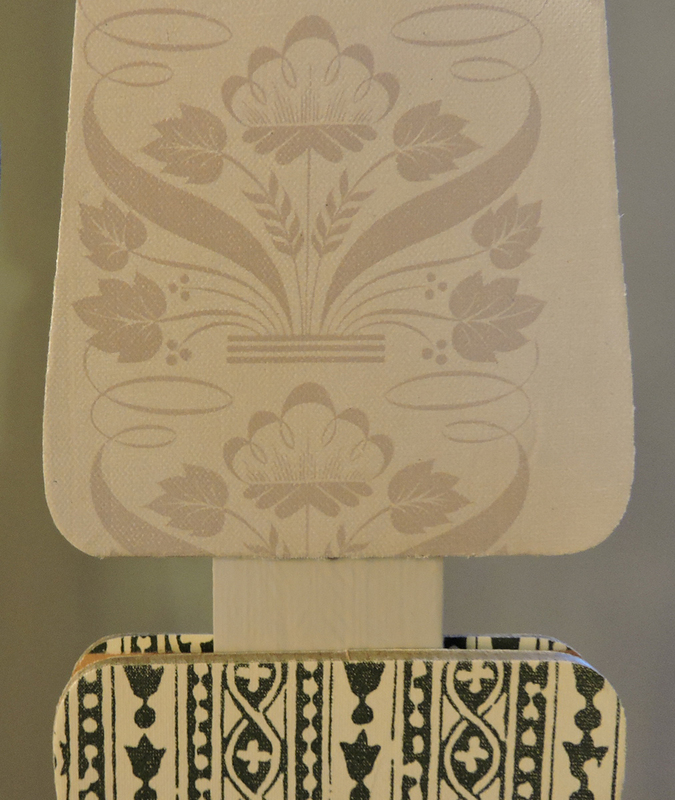 Or you can bump up a blank corner with some hand-crafted pizzazz. PM me with any serious inquiries.